Take a dive into ancient mythological Greece with family and friends and make your mythical adventures an unforgettable reality! 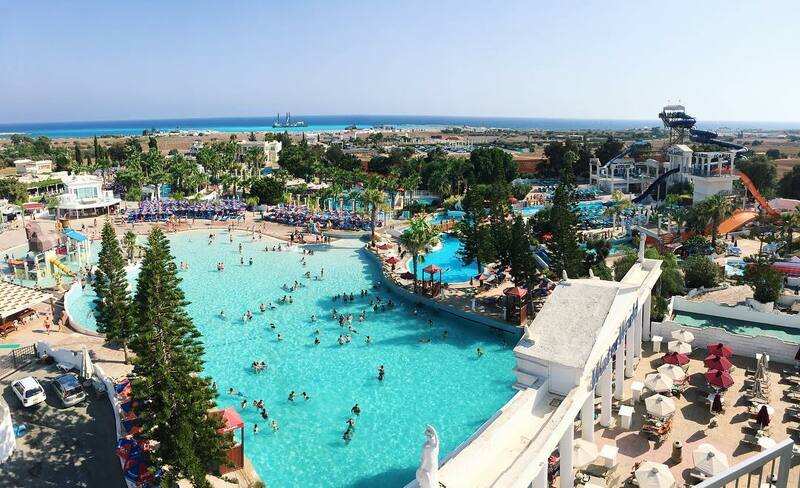 Welcome to WATERWORLD the largest themed waterpark in Europe, here in Ayia Napa! Spend an incredible day with your family or friends! Unbeatable Fun. Waterworld waterpark opened it's doors in 1996 and has been winning awards ever since, now boasting 25 International awards. 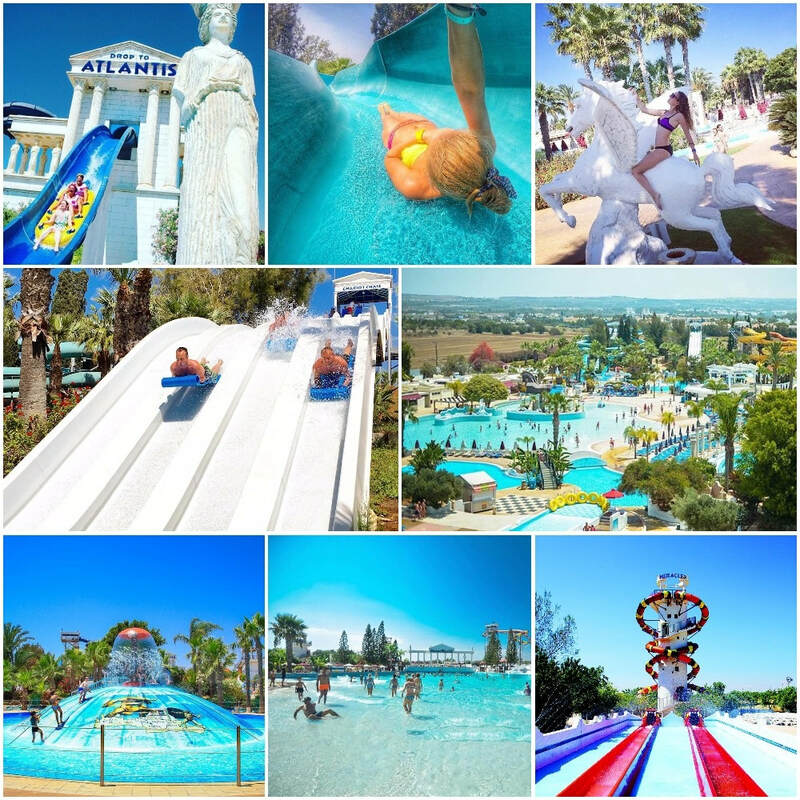 Over 4.5 million guests have visited the park which is the largest themed waterpark in Europe and one of Cyprus's biggest attractions. With over 21 thrilling rides for all ages, the park is themed on ancient Greek mythology. Top attractions include Chariots chase, Aeolos Whirlpool, the River Odyssey and Poseidon wave pool. Children are well catered for with the Atlantis activity pool, Pegasus Childrens pool and the Trojan adventure. Those seeking a more adrenalin fuelled ride can attempt the Kamikaze slides, Drop to Atlantis and the fall of Icarus. As well as the rides, visitors have the benefits of free parking, sunloungers and umbrellas, showers and changing facilities. Lockers are available for daily rental. All staff are fully trained and first aid is available if required. 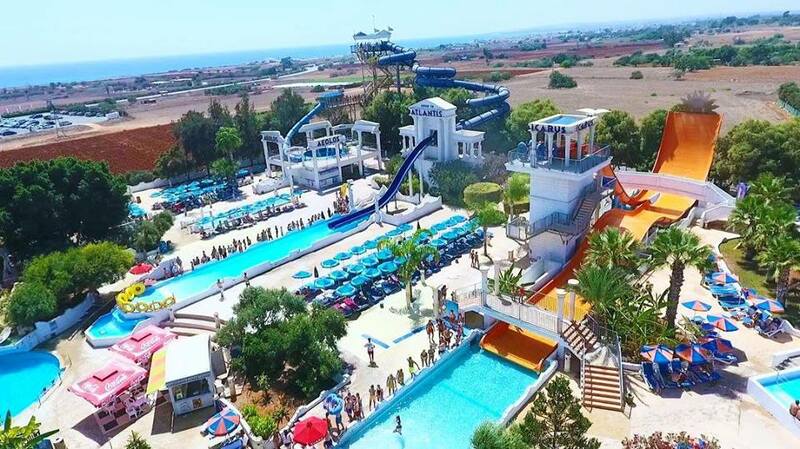 Waterworld Waterpark is located at the Western edge of Ayia Napa, close to the new Ayia Napa marina. It is reachable from central Ayia Napa and Protaras on the local bus route 101/102, or by taxi. There is a car park at the entrance for guests arriving by car.